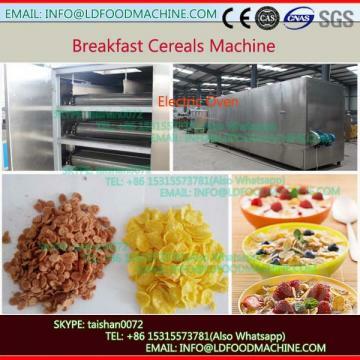 puffed cereals machinery extruded equipmentis a fully autiomatic production line which is LD combined Europea anvanced Technology .It used corn flour ,wheat flour, oat, buckwheat ,etc as the raw material . 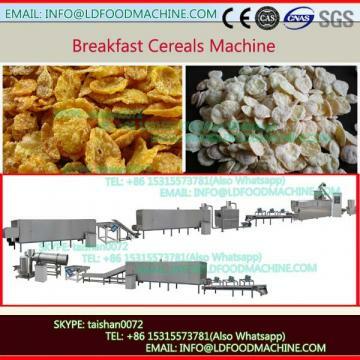 A finished CORN FLAKES have long lasting criLDness in milk due to minimal damage of the cereal's starch structure during processing thanks to the particular process conditions. An end product exhibiting the best combination of texture, colour and flavour base on an accurate control of the conditioning, drying and toasting stages of the process. Unlimited choice of shapes and formulae for shaped cereal such as stars, criLDies, pillows,rings, stars etc.